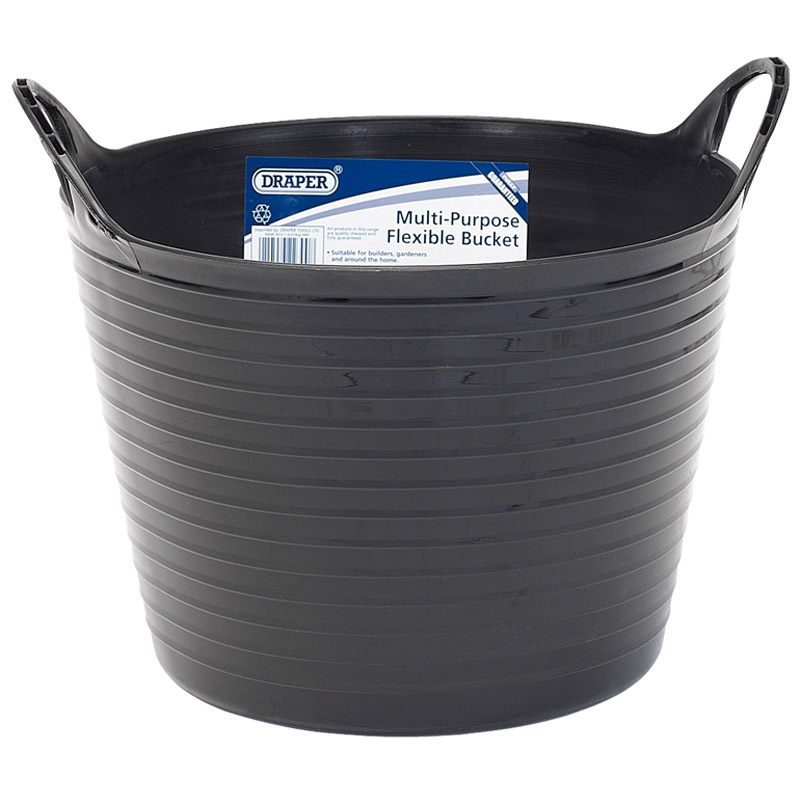 Flexible soft-sided buckets with handles. For carrying water, sand, building and garden rubbish. Ideal for use around the home and garden. Colours available - black (manufactured from recycled material), green or yellow. Sold loose.